With a middleweight naked class that seemingly has more testosterone kicking about per cubic centimeter than Arnie in his prime, does MV’s Brutale 800RR have what it takes to topple this sector’s crème de la crème? 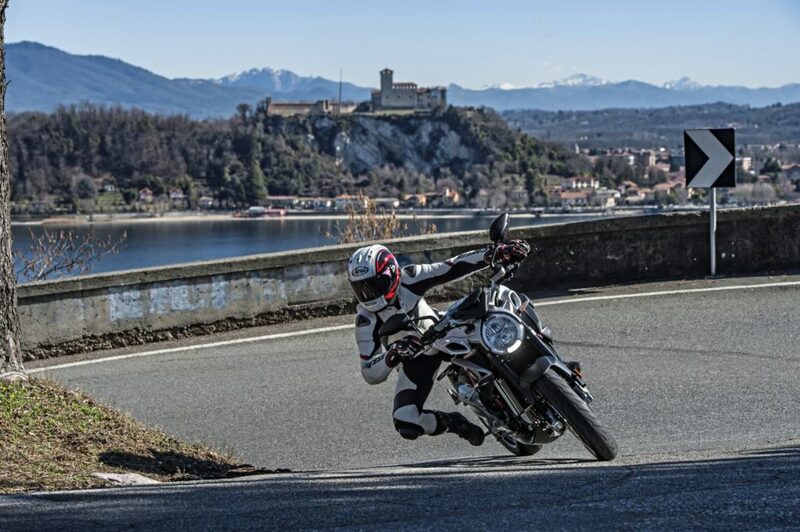 It’s every lads dream to sample a little exotica every now and again, so there was no need to think twice when the chance came to head out to Italy for a joyride on MV’s 2018 Brutale 800RR. 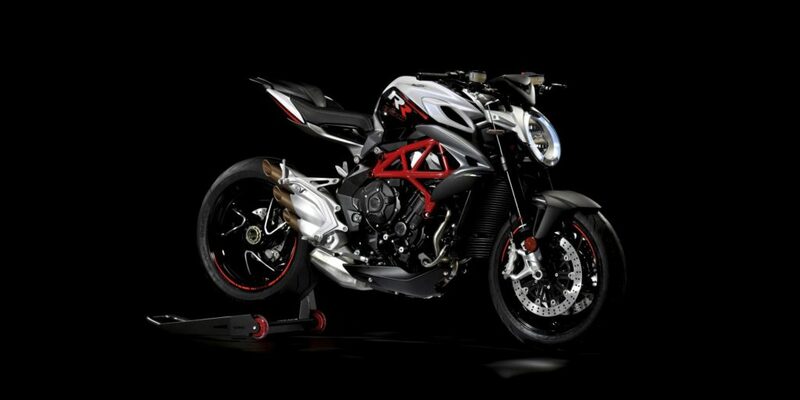 Feasting my eyes on the beaut as it basked in the clinical light of the MV Augusta factory, I was liking every inch of what lay before me. It was a vision of something that had taken three years in the making, being both a generally bettered product than its predecessor, but also one that made the grade of Euro4 bureaucracy. Bad news for the ugly ducklings out there – first impressions are largely based on appearance with three fifths of us average folk form our opinion within the first five seconds of what’s put before us. 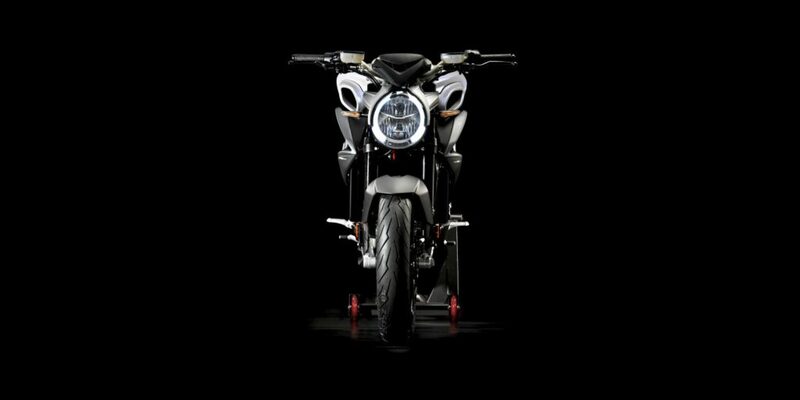 Good news for the Brutale though, with is avant-garde lines, angles in all the right places and a general perception of compactness. Featuring MV’s iconic ‘organ pipe’ silencers, an unusual aperture through the seat unit and rear foot pegs that are moulded from the riders pegs, there’s a clean, clutter-free rear end, all of which is topped off with some sexed up, diamond cut ally rims (of which also offer a collective, unsprung weight saving of 800g – which isn’t to be sniffed at). All of these points are further complimented by some extreme – albeit tasteful – graphics. Available in either pearl ice white/metallic carbon black or pearl shock red/metallic carbon black. 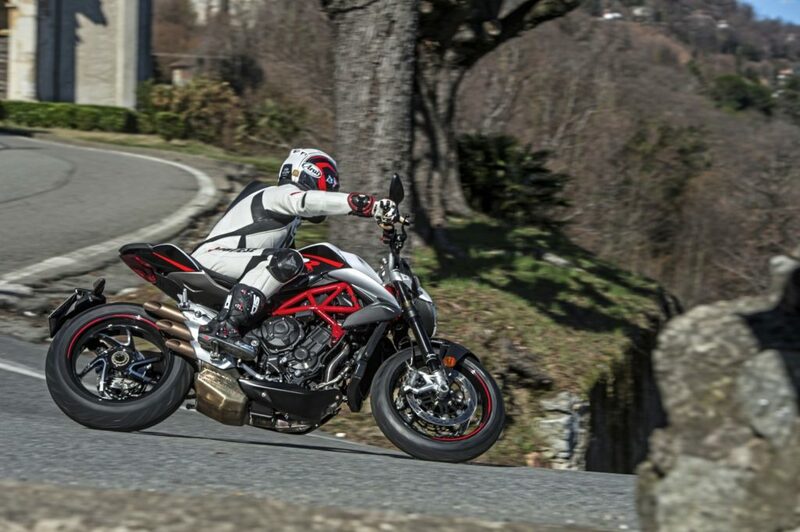 Personally if I were about to part with my dosh then I’d be swaying towards the ice white option, which also comes with a pimped red tubular section frame. 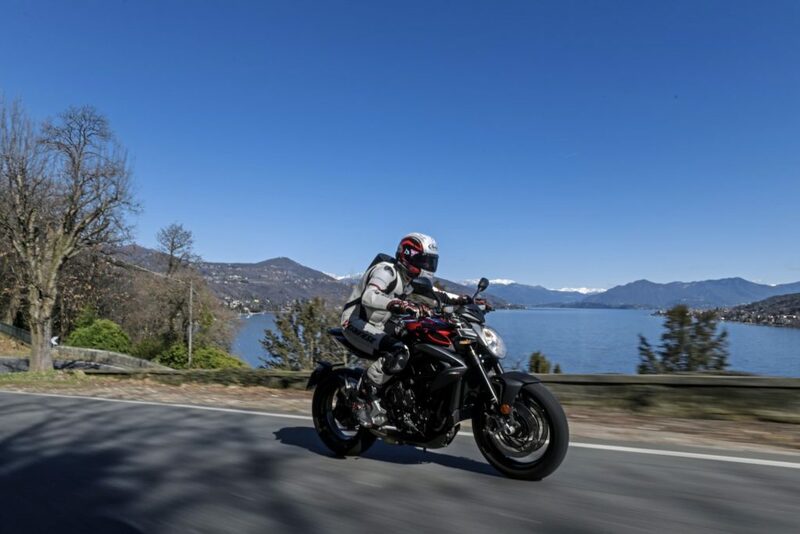 It’s clear that we’re currently experiencing a technological revolution, not just in terms of motorcycling but also in all areas of our day-to-day lives. It’s something that we come to expect, and love it or hate it, this wonderful world of wizardry is a rapidly advancing area of allure for many seeking to either become the next Marc Márquez (dream on lads) or simply to help alleviate the prospect of an accident when you decide that you’re going to run out of talent. Want more Fast Bikes? There’s loads to see on our Facebook, just click here! If Twitter’s the social space for you, well you’re in luck! 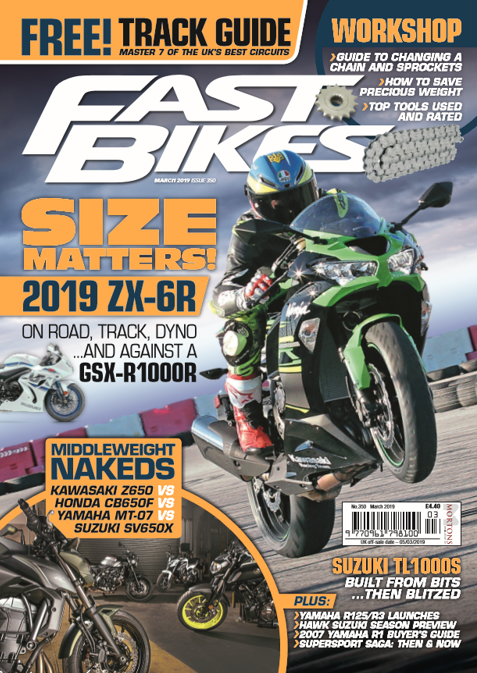 Follow Fast Bikes on Twitter here! 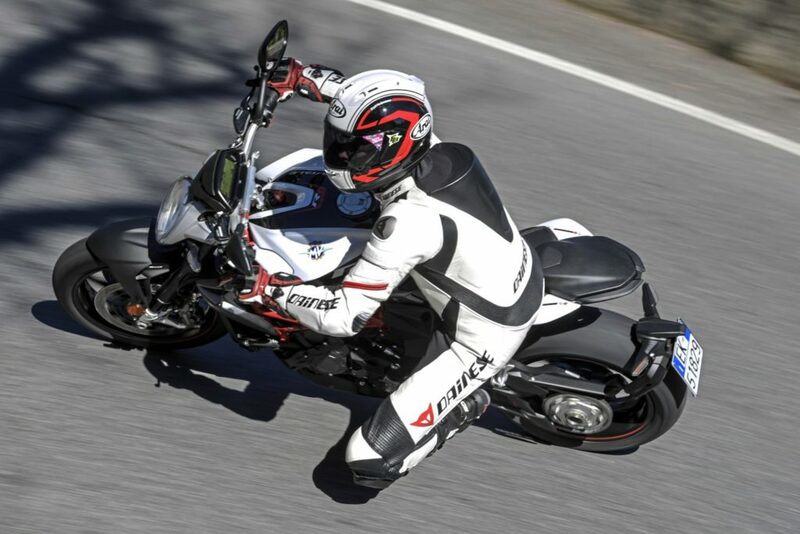 The new Brutale 800RR certainly isn’t shy on the techno front, sporting a whole plethora of rider aids and features such as the MVICS 2.0 (Motor & Vehicle Integral Control System) which offers eight stage traction control – with the highest value being the most intrusive. 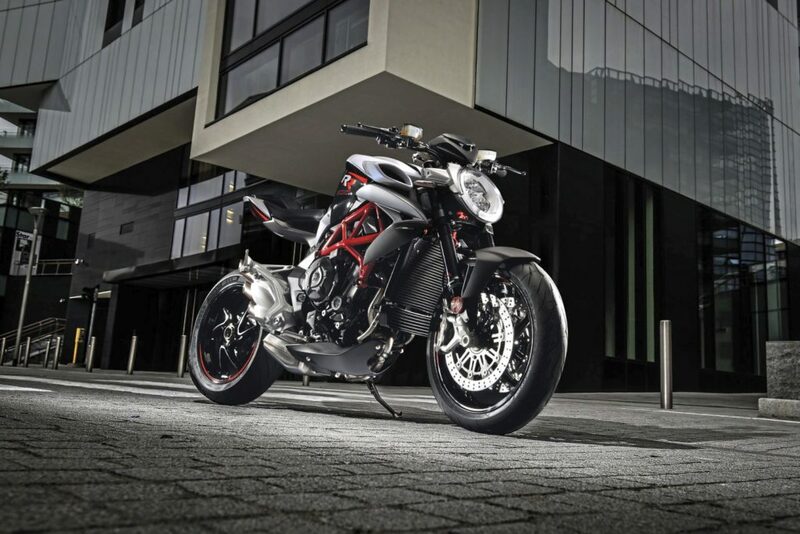 There’s three preset riding maps, Rain, Normal and Sport, along with the ability to create a fourth, ‘Custom’ map, allowing you to adjust gas sensitivity, max engine torque, engine brake, engine response and the rpm limiter to suit. There’s also the MV EAS 2.0 electronically assisted shift for clutchless up and down shifts with an obligatory autoblipper and integrated slipper system. Toying with the switchgear to toggle through the riding modes (adjustable on the fly – although to disengage/engage the ABS you have to be stationary, which was just as well with the button being positioned awkwardly on the throttle hand) has you squinting at the old school LCD dash that feels a generation out of date. Comparing it to the likes of the TFT instrumentation sported by Triumph’s Street, I can’t help but wonder how a feature like this on a “super premium” motorcycle can go overlooked while everything else has been so carefully considered. I think it’s fair to say that for anyone considering parting with £13,490 – yes, even I had to double check it – of hard earned dough, they have every right to expect a fancy, all-singing-all-dancing TFT jobbie. Sitting on the bike for the first time with its beautifully stitched saddle, I was instantly surprised that the relatively tall seat height of 830mm didn’t feel so lofty as my 5’ 9” frame still meant I could comfortably plant both feet on terra firma, probably aided by the skinniness of narrow saddle. Being a sucker for sweet triple tunes, upon thumbing the starter I was left alittle gutted on hearing the Euro4 castrated soundtrack on tap- although, nothing that a pipe swap wouldn’t sort out; the SC Project zorst on the RC that sat pretty in the factory being a natural choice. Pulling away, the hydraulic actuated clutch provided a grateful sense of ease and paired with MV’s newly developed ride-by-wire system with improved algorithms made the mooch to the factory gates feel effortlessly smooth and I couldn’t wait to cut loose the 140 ponies that this 798cc lump holds braggin’ rights of. Headed for a lap of Lago Verbàno (or Lake Maggiore to you and I), I was beginning to get a sense of what this bike had to offer. It wasn’t long before we found ourselves carving up some sweet undulating and winding mountain roads that run the perimeter of the lake which had me brushing the armco and rubbing shoulders with an Audi Q7 (don’t try that one at home, lads) in pursuit of the perfect line. It’s in this environment that the bike begins to come into its own. Start to tap it on and you’re instantly rewarded with an addictive note emanating from the triple ‘organ pipe’ exhaust that persuades you to chase a few hundred extra revs – even if it is at the detriment of the sweet spot. Working the gearbox, complete with clutchless up and down shifts, I found myself unnecessarily exercising the cogs just to appreciate the rasp that the auto blipper churned out on each downshift. Having heard the odd grumble about MV’s ‘boxes in the past being far from slick, the boys at the factory seem to have come up trumps with this example which gave me no grief at all. The same could be said for the bike’s chassis, which felt beautifully balanced with its Marzocchi pogos supporting the sharp end of things, with adjustment on tap for finer tuning; the Sachs rear shock being equally as customizable. For my 11 stone frame, I found the spring rates and damping pretty much bob-on, inspiring me to tear up the fast flowing sections around Maggiore while the counter-rotating crankshaft, which helps to counteract the gyroscopic effect of both the wheels and engine spinning in the same direction, consequently gave the RR an eagerness to cut like a hot knife through butter. From the point of tipping in, to chasing the apex and requesting rapid changes of direction, this bike offers the sort of pinpoint accuracy that I experienced during my days racing a TZ 250. With the big guns in Moto GP also running their engines backwards, it’s no gimmick, this technology is proven to work and can be transferred between both track and road. More agility can sometimes compromise stability but it’s not the case here as the chassis has been blessed with some improvements in geometry, with an increased wheelbase along with altered rake and trail angles, all of which are complimented by the welcome addition of a new, manually adjustable steering damper that offers eight levels of stiffness to keep things in check – don’t tell the misses lads, she’ll only want one. New engine mounts also improve things further by acting as a stress member, considerably improving torsional rigidity. Our route offered more than just jaw-dropping views but also more hairpins than you can shake a stick at and provided a perfect opportunity to burn some brakes. Up front the twin four-pot Brembo calipers, paired with a Nissin master cylinder, gave a positive and progressive bite on the 320mm steel discs, but if I’m being super critical (purely as there’s very little to pick fault in), then I’d say that they lack the initial bite of a pair of M50’s. 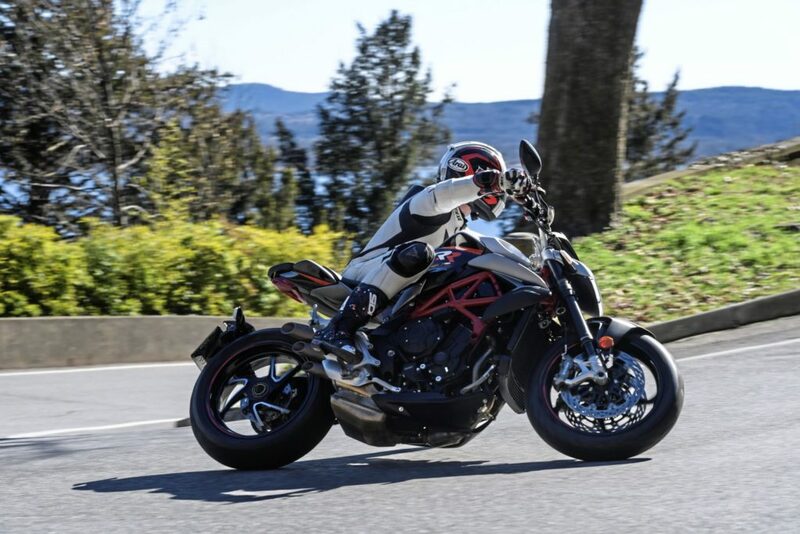 On a brighter note, I had nothing but praise for the Brutale’s choice of footwear; Pirelli Diablo Rosso III’s, which handled well, warmed up quickly, offered positive feedback and felt to me to be a natural choice of road tyre for this bike. 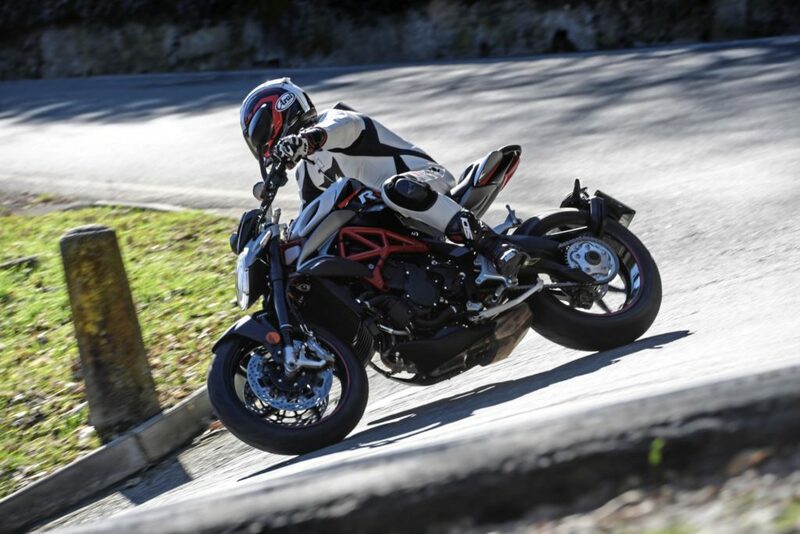 Although I found the throttle response to be near perfect, I found that when asking for a fistful of throttle at very low revs – mainly exposed when wanting to fire hard out of tight first gear hairpins, I found it hesitated and at first I thought it was the traction control hampering my fun, however I was quick to rule that one out. Over our 140 mile jaunt, it was only this very specific area of fuelling that I found could do with improving. I can only wish that we had of had the opportunity to unleash this beast on the track as I believe it would be a proper tool. 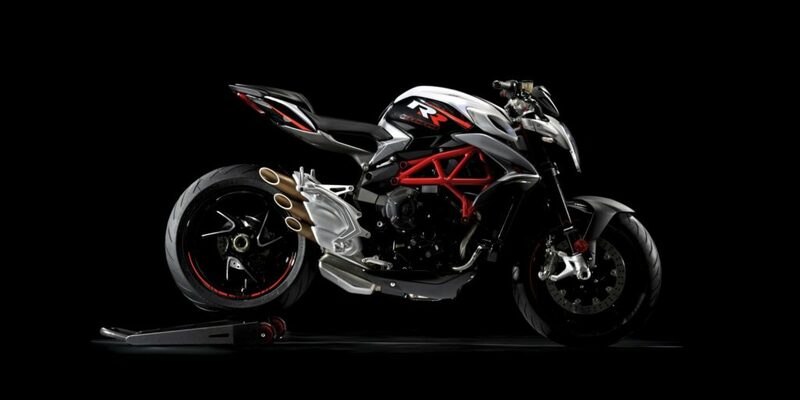 Now most naked bikes on the market running detuned engines from their fully faired derivatives, but not this baby. Producing a whoppin’ 40% more power than its £1500 cheaper entry level sibling, pumping out 140bhp at 12,300rpm, along with a max torque of 87Nm made at 10,100rpm compared to 109bhp at 11,500rpm and 83Nm at 7,600 respectively, the RR certainly punches well above its weight. The motor is an absolute peach, and it’s this that gives it the legs to set it apart from its middleweight competition, using its muscle to propel it firmly into the realms of shaking up the super naked sector. 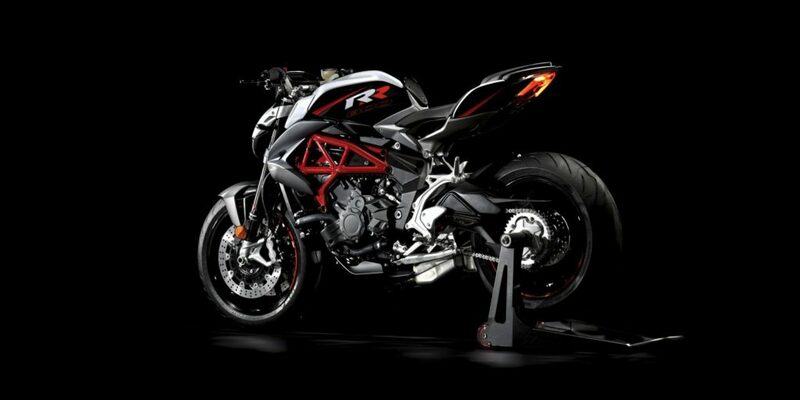 The new Brutale RR has certainly reached a new pinnacle of technical development and performance. With is aggressive, yet beautiful and carefully considered design, its athletic chassis and stunningly poky triple lump together with a gearbox slicker than Harry Hill’s head, its fair to say that it provided me with a more memorable and adrenaline fuelled ride than any of its middleweight rivals. 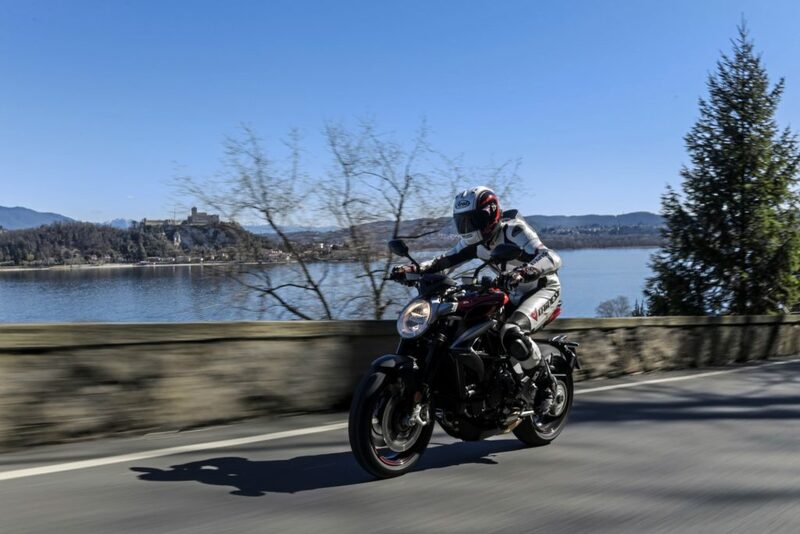 However, it would certainly make a heavy impression on your wallet too compared to its more price conscious rivals with Triumph’s Street Triple RS setting you back £10,100, while Yamaha’s MT-09 SP an enticing £8,999 and KTM’s new 790 Duke pitching in at £8,499. Familiar with the phrase, ‘you get what you pay for’? If so, nuff said. If MV had adorned this rippa with the TFT dash it so deserves (and needs) then I’d say it warrants every penny of its premium price tag. It’s a beaut.